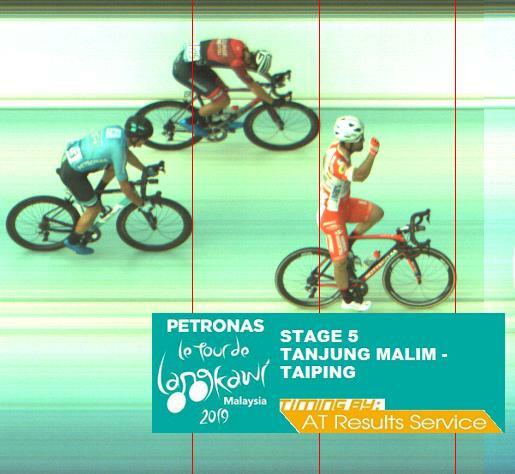 Italy’s Matteo Pelucchi won a bunch sprint to end Androni Giocattoli’s winless streak of four editions in Stage Five of the Petronas Le Tour de Langkawi covering 200.1km from Tanjung Malim to Taiping today. The most successful general classification team in the race’s history with seven overall victories, Italian outfit Androni has gone through a barren spell since Dutch sprinter Kenny van Hummel won a stage in the 2014 edition, thus Pelucchi’s win sent a familiar jersey onto the podium today. 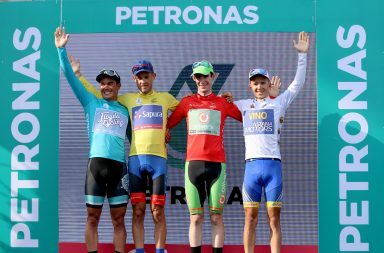 After the peloton worked hard to bring back the biggest breakaway thus far in the race, with 17 riders making up a group that opened up a maximum gap of 3 minutes and 25 seconds, a final three breakaway riders – Sapura’s Cristian Raileanu, Japan’s Shotaro Iribe and Bardiani-CSF’s Paolo Simion – were caught with 3km to go. 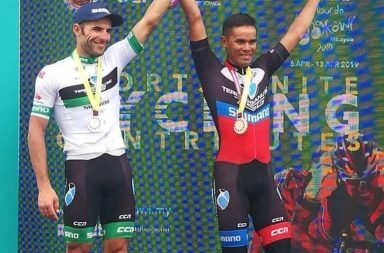 The bunch sprint saw Pelucchi edge St George Continental’s Blake Quick to victory, with Stage 3 winner Travis McCabe taking third ahead of Stage 2 winner Terengganu Inc.-TSG’s Harrif Saleh. 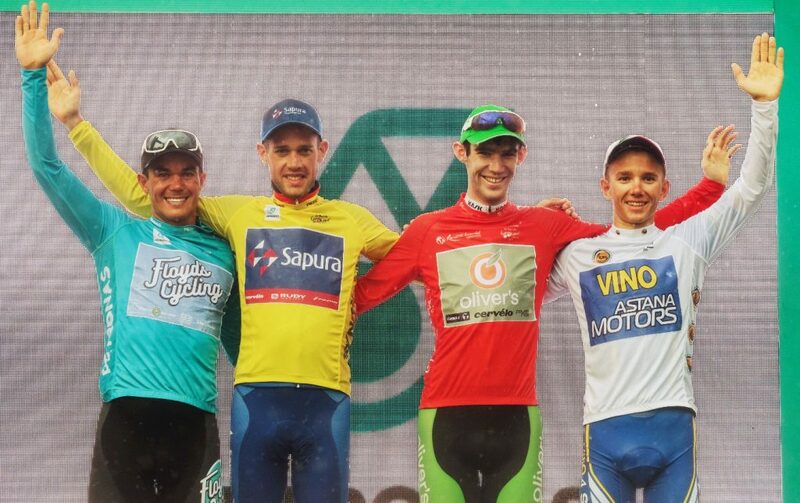 McCabe retained the green jersey as the points classification leader with 58 points, as Harrif moved up to second with 42 points, ahead of Simion on 33 points. 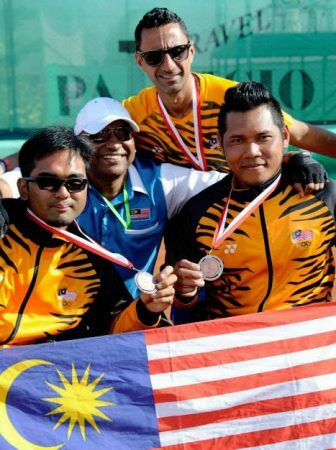 “The pace today was very fast, especially in the first hour. Our team worked hard, especially in the final three kilometres to catch the front rider and coming into the last corner, I was at the front and got a clear sprint in a straight line,” said Pelucchi. 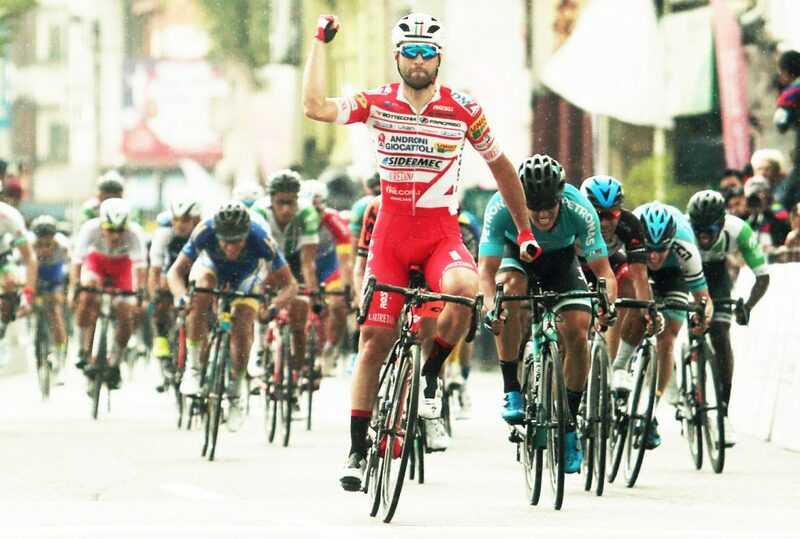 Team Sapura Cycling managed the race well, keeping the front of the peloton in check and seeing to it that breakaways did little damage to ensure Benjamin Dyball retained the yellow jersey unscathed, with his 27 seconds lead over second placed GC rider Hernan Aguirre of Interpro, intact. 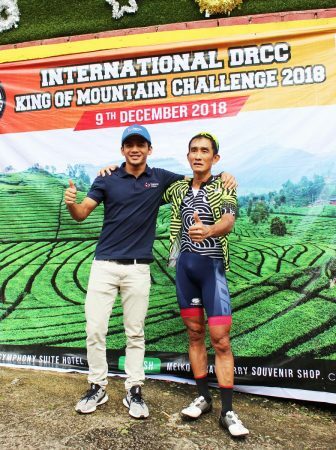 “Although there was an early attack, Raileanu was with the first group, so there was no panic.The race was very active in the first hour, with high speed but the peloton always kept the time gaps in check. And when it came to a bunch sprint, I just played it safe. 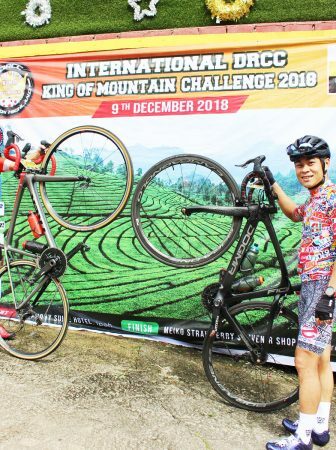 With a shorter stage after this, it should be easier to keep the jersey,” said Dyball. 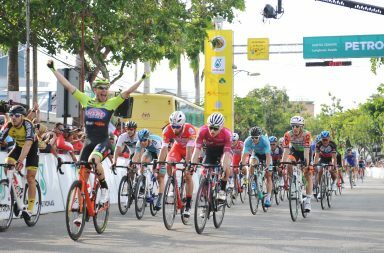 The bunch sprint also meant Vino Astana’s Vadim Pronskiy retained his Asian riders’ classification lead, while mountains classification leader Angus Lyons of Oliver’s Real Food Racing also saw his lead with 47 points unthreatened. 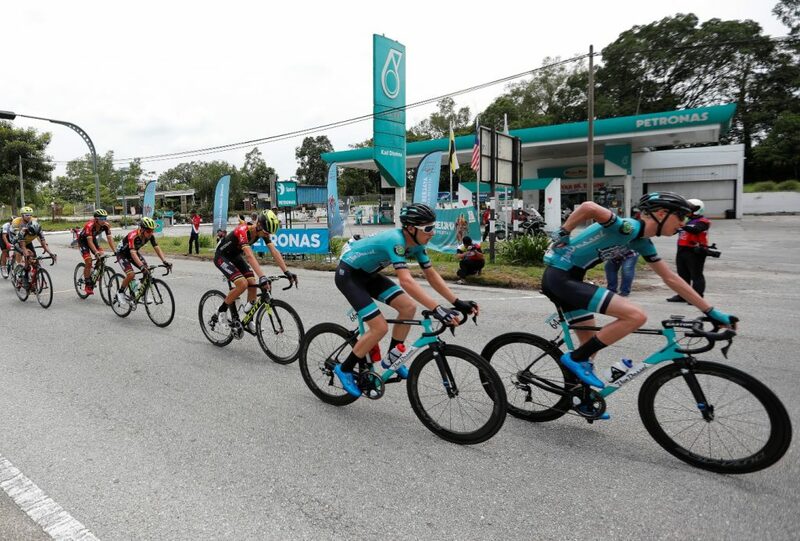 The Petronas Le Tour de Langkawi continues with the 130.8km Stage 6 from Bagan to Alor Setar.